M – F 7:30 a.m. – 2:15 p.m.
Students are taught the skills and knowledge necessary for employment as entry-level coder/billers. The main role of a medical coder/biller is to review patient medical records and assign codes to diagnoses and procedures performed by healthcare providers so that the treating medical facility can bill insurance companies for reimbursement. The medical coder/biller is responsible for the accurate flow of medical information and patient data between physicians, patients and third-party payers. 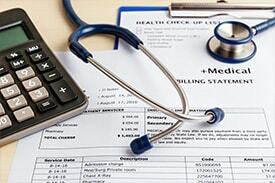 Most medical coder/billers work on-site in hospitals, clinics, physician offices and for insurance companies. With the introduction of the electronic health record (EHR), experienced medical coders may have opportunities to work from home. Registration processes for Health Science classes vary by program. For information specific to the Medical Coder/Biller program, please e-mail the counselor at Ruth.Eloi@browardschools.com. Students enrolling in any Health Science Education program must attend a Health Science program orientation on campus. At that time, information about the required Level II criminal background check and drug screening, per The Joint Commission, will be fully explained. Students who do not have a valid social security number may encounter difficulty with certain state licensing agencies and registries. Contact the program counselor for specific information. Upon completion of the program and meeting eligibility requirements, including the attainment of an aligned industry credential, students may be awarded credits toward an Associate Degree by Broward College or the Florida College System. Students must enroll in Broward College within 2 years of completing the program at Atlantic Technical College. Additional college credit may be awarded with the attainment of additional industry credentials. To get started in the Medical Coder Program, sign up today for a program orientation! Entry level wages for are about $12/hour**. Actual wages vary according to education, experience and certifications.